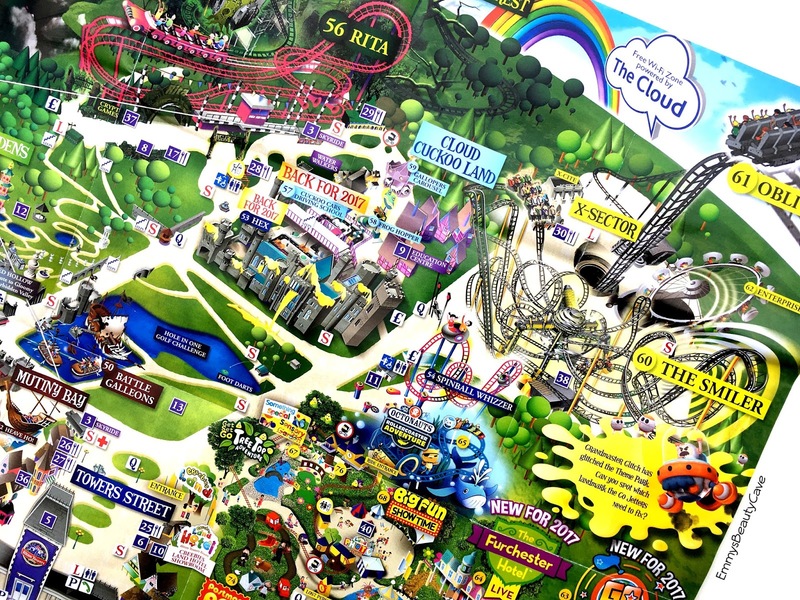 Alton Towers is one of my favourite places to go. Although I am scared of heights. I never went on rides/roller coasters until around six years ago when I got with my partner and he has now converted me. Don't get me wrong when im queuing for some of them I still get extremely nervous but once I am on them I love them. 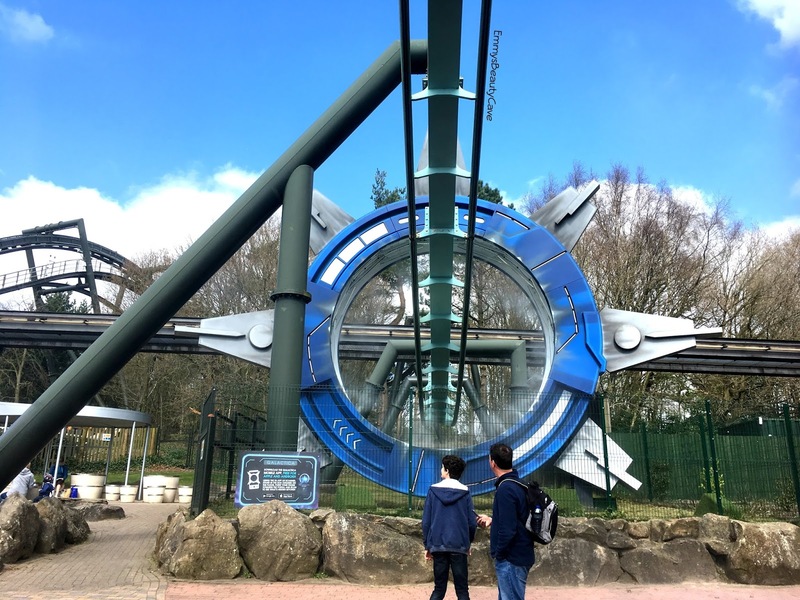 Alton Towers has so much to offer for everyone and there is plenty to do. We go every year as you can get a voucher off most cereal boxes which allows you to get one adult ticker for free. So me and Ashley only pay for one of us. As we get one adult free we then buy fast track tickets. We haven't done this every time but when we went earlier this month we did as I am still in my recovery process from my leg reconstruction surgery so I can't stand on the spot at all so the fast tracks help me alot. 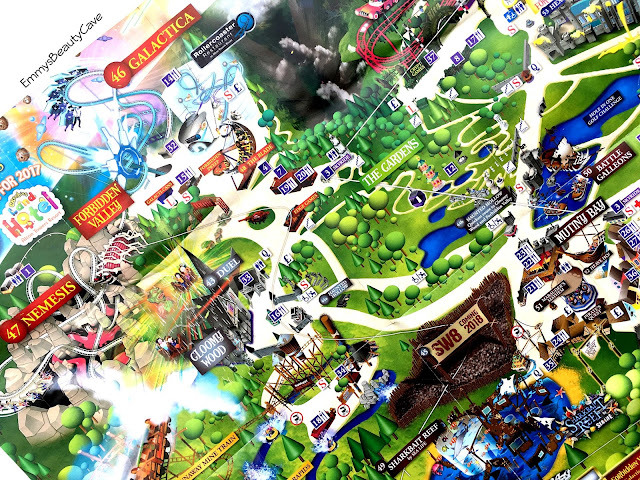 We pay £35 each for a Fast Track Ticket which includes six rides: Oblivion, Smiler, Nemesis, Galatica, Rita and Thirteen. You can get some fast tracks cheaper and you can buy individual ride fast tracks from £5 each. The fast track entitles you to one entry per ride. The only rides I hadn't been on before were Oblivion and Smiler. Both scared me but after the past few years I thought I will do them and do something I never thought I would. Oblivion is a smallish ride but what scared me previously was the fast is was a sheer vertical drop into a hole in the ground. The ride has two rows of seats which six seats per row. You are sat in like a chair. The cart then hangs you over the edge where the sheer drop is, it holds you there for a few seconds then suddenly drops you. 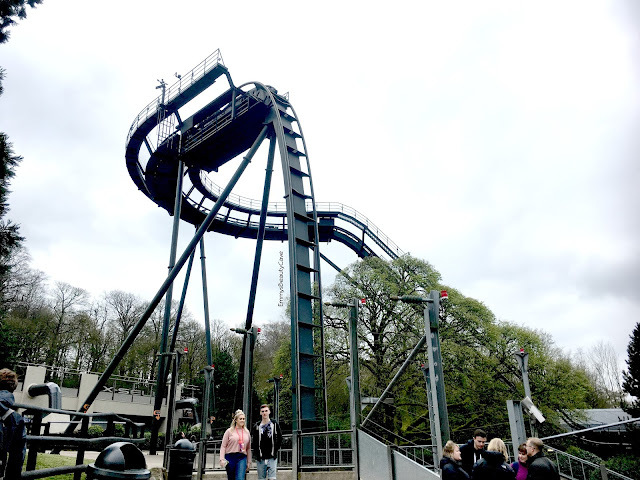 We all know what happened with The Smiler a few years ago such a tragic accident. That is what has put me off going on it, I know they have done checks and now made it safer. When I stood watching it I noticed they now don't let both carts go round at the same time, they don't set to second cart off until the first one is nearly finished so there is no way they can collide. I went on it and had my eyes shut pretty much the whole time and I don't think I would go on again. It went so fast and I did panic a little. The Galatica formally known as Air is my favourite out of them all. 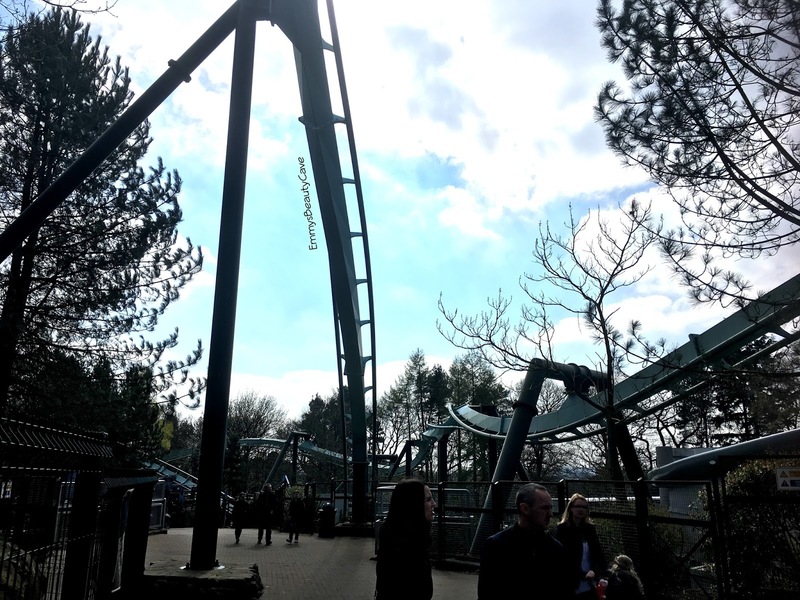 This is the first big roller coaster I ever went on and I remember the first time when I was queuing I thought I was going to pass out from nerves. 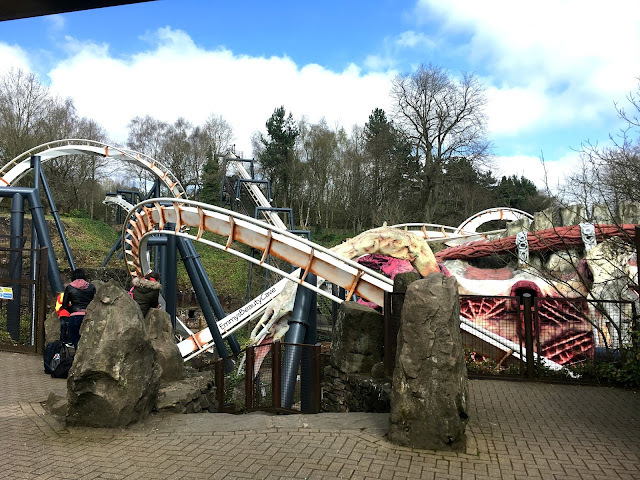 I went on it and loved every minute. This sits you in then tilts you so you are facing the floor. You then go up this huge steep part then it is full of twists and turns and turns you upside down. Since they changed it to Galatica you now have the option to wear these googles which gives you a 3d virtual experience where you are going through space. I will be honest I wore the googles once and wasn't impressed, the ride is much better when you don't wear the googles. You get the choice so you don't have to wear them. Nemesis is one of the ones everyone knows. This one is for anyone who loves to go upside down. It goes in loops and then straight drops. This is like a quicker version of the Galatica one. Some of my other favourites are Rita, Rita is so fast! You sit in the chair and then when the light turns green it shoots you off at 100kph (62mph) in just 2.5 seconds! Honestly you can't breathe it goes that fast then it goes round like a normal roller coaster. This one doesn't go upside down it just goes round the bends and drops. Whilst you are queuing you can watch people's faces as they get shot so fast and it is so funny to watch. Thirteen is a smaller one for people who don't like anything upside down or too fast. You sit a little cart, it seats two people. You then go down dips and turns. The Spinball Whizzer previously called Sonic Spinball is so much fun. I forgot to get an up close picture of this one as this time I couldn't go on it due to my leg as you have to bend and criss cross your legs which I can't do. You sit in a small cart and then the whole way round your are spinning then going upwards then down steep drops and bends. It is so fun. 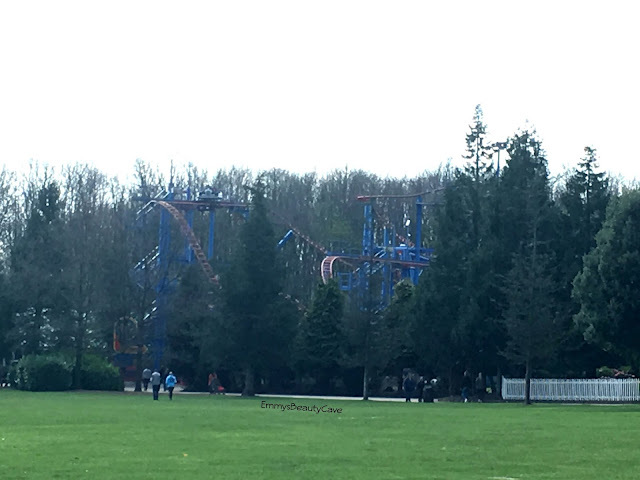 When we were there earlier this month they have now removed the big log flume they had, it doesn't say what is going there but says a new ride will open in 2018. They have another water ride where you sit in a circle and go through the river rafts but you get soaked! Above you can see the map they give you when you go and see all the rides. It is such a good day out. They also have a kids section for younger children so there really is something for everyone. They also have other games where you can win teddies and toys. Food Wise there is alot to offer from burgers, cafe's, restaurants, Fried Chicken, Hot Doughnuts, Sweets and loads more. There is also the Alton Towers Hotel which is next to the park and has it's own waterpark. I have never been but my parents went with a group and said it was so much fun. This post isn't sponsored or anything, I just enjoy going and I recently decided I wanted to share more lifestyle posts on my blog and more of my life. Have You Been To Alton Towers Before? What Is Your Favourite Ride?